Earlier this year, the Scaur Hill Community held their 16th Annual Scaur Charity Soup Tasting Party at the residence of Rotimi and Sheryl Martins. During this social event, the 56 socializers from Dockyard to St. George’s took in a variety of soups, desserts and beverages from around Bermuda and the world. While the social event was taking place, the Youth Charity Mirrors Representative Kim Jackson was present as her charity was the recipient of any donations given. She gave a speech, and provided educational information on the charity and Bermuda’s youth. During the night, the attendees generously dipped into their pockets and made donations, and as days passed other people also donated, and by the 4th of May the donations totalled $811, which was then presented to the Mirrors Programme. “The Scaur Community is to be commended for their ongoing work and commitment to supporting the charitable sector of Bermuda. 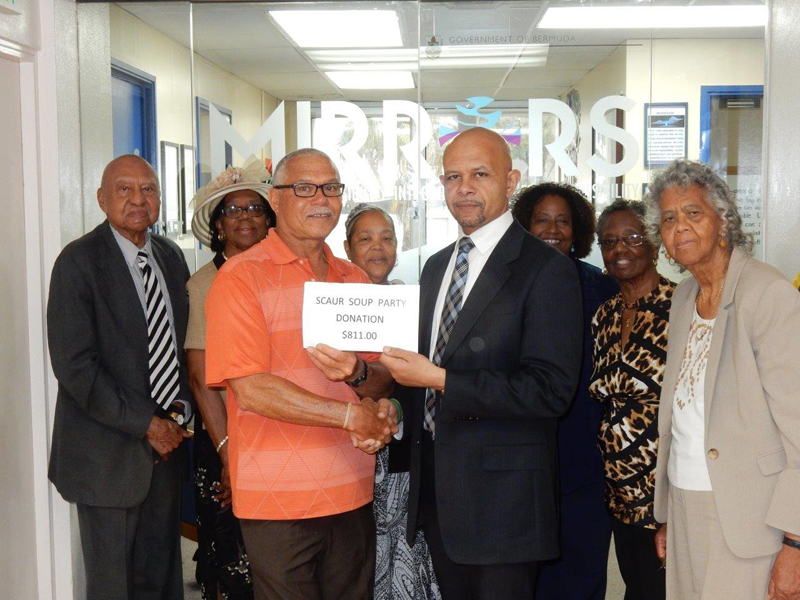 We are glad to support and encourage the positive work they are doing in our community,” area MP Jamahl Simmons said. The Scaur area seems to be the epitome of a cohesive community looking out for all. Thank you Scaur residents.